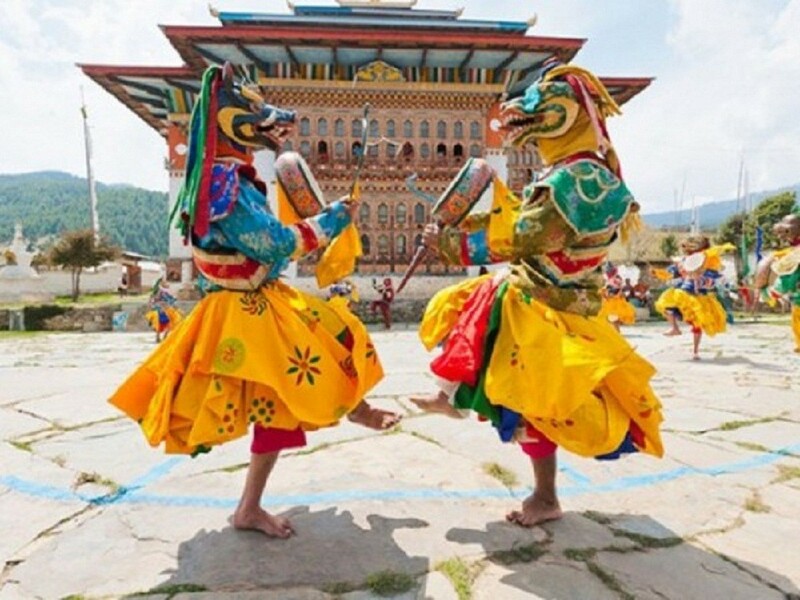 This tour is designed to give you an opportunity to explore the eastern parts of Bhutan. Your journey will start from Assam in India and then to Tashigang, the biggest towns in the east. This itinerary will give you opportunity to explore remote villages, temples and to experience rural life. With the steep landscape it has been difficult for most of the villagers to get to the towns. So we will take you to the door steps of these people and will make you experience their hospitality. We will take you to the places where very few foreigners had been. Day 01 : Arrival at PARO. Upon arrival at Paro International Airport, meet, assist and drive through the beautiful Paro valley to the hotel. Overnight in hotel. Day 02 : PARO [Sightseeing]. 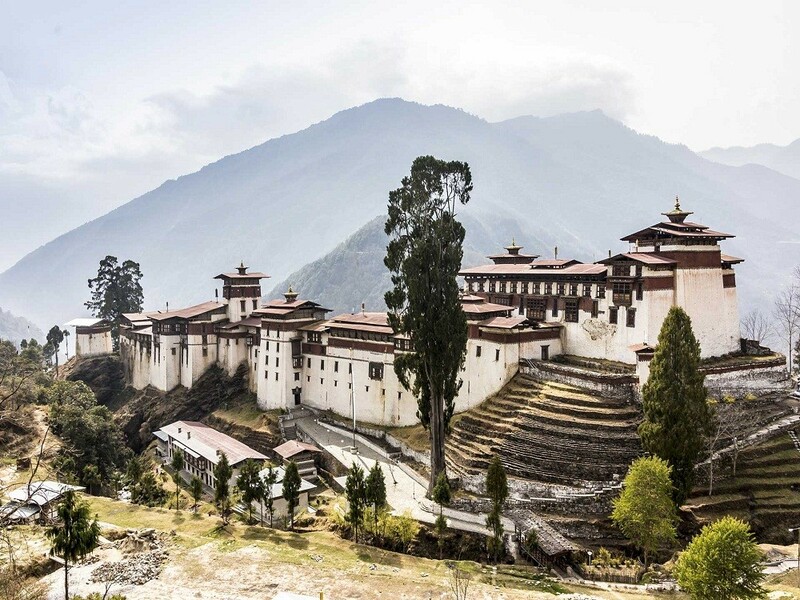 Today, you will have the opportunity to visit and see some of the natural culture of the country including Drugyel Dzong, a ruin fort, once strategically important to Bhutan's defense against Tibet. Mount Jomolhari can be viewed beyond the ruined fort on a clear day. Afternoon, visit the National Museum and Paro Dzong. After this visit handicrafts in Paro. Overnight in Hotel. Drive to Thimphu the capital of Bhutan through the terraced fields and scenic countryside along the banks of the Pa Chu (Paro River) down stream to its confluence with Wang Chu, then up-valley to Thimphu. Afternoon, visit the local handicrafts. Overnight in hotel. Day 04 : THIMPHU [Sightseeing]. A full day of sightseeing and shopping in Thimphu. Wander round the town, visiting the shops and handicrafts shops. If you wish visit the workshop where all the handicrafts are produced. For lunch you will return to the hotel. After lunch you will visit National Library and drive to Motithang hotel. There you will take a short walk and see the Taking (Bhutan's national animal) panned up there. Overnight in Hotel. The journey into central Bhutan starts today, with the drive to Tongsa, which will take 7-8hours. During the drive you will visit Punakha Dzong, ancient capital of Bhutan which is at altitude of 1,350metres (4,430ft). Opposite to this great Dzong you will see a temple which has occupied the site since 1328, when saint, Ngagi Rinchen, built it. On route, at Chendebji Chorten, you will stop for your lunch. After lunch continue drive to Tongsa. A vantagepoint from the opposite side of the valley, still 14 Km from Tongsa, provides a welcome view of the Tongsa Dzong and the town. Overnight in tourist lodge. This morning you will visit Tongsa Dzong and and Ta-Dzong (watchtower) before starting the journey to Bumthang. 18 miles (29Km) from Tongsa, the road reaches the Yutong La pass at a height of 3,400meters (11,155ft). From the viewpoint you can see Jakar Dzong"Castle of the White Bird". You will reach Bumthang in time for lunch. In the afternoon, visit Jampa Lhakhang, Kurje Lhakhang, Tamshing Lhakhang, and Kencho Sum Lhakhang. Overnight in Guest House. Today drive to Mongar across the Thumsingla pass at a height of 3,800meters (12,465ft) and the subsequent descent from high altitude pine forest to lush pastures and orchards is one of the most exciting drive in all of the Himalayas. Gushing waterfalls, steep cliffs with even steeper drops, blazing flowers, and constantly changing vegetation combine to make this journey as varied, as it is beautiful. Overnight in tourist lodge. Drive to Tashigang the eastern part of Bhutan, which takes about 4-5hours. On arriving in Tashigang is welcome respite from the seeming endless turns of the journey over the pass. The town is small with a sprinkling of shops. On the way as usual take a break to take a pictures of the birds and animals. Overnight in the lodge. Day 09 : TASHIGANG [Excursion to TASHIYANGTSE]. On the way to Tashiyangtse visit a famous Goma Kora Monastery and continue drive to Tashiyangtse. This is another place where one can find black necked cranes. A town here has developed around another famous Chorten Kora, one of only two temples built in a style prevalent in Nepal and the spot where Guru Padmashambhava is believed to have had a vision that a temple and Chorten would be built. Visit Chorten Kora and Bhutanese lacquer varnishing center. After lunch drive back to Tashigang. Overnight in lodge. After breakfast visit Tashigang dzong and drive back to Mongar. One can catch-up what you have missed during your forward journey. Afternoon at leisure. Overnight in lodge. Early breakfast and drive to Tongsa. On the way there is a series of hair-raising bends between Sengor and Namning. The route is literally dug out of the rock and bordered by a vertiginous drop. The heavy atmosphere is made worse by the constant humidity, the frequent fog and absence of any human activity. Overnight in tourist lodge. Early breakfast and drive to Thimphu with a packed lunch. Drive will be through the dense forests of rhododendrons and magnolia trees. Stop for lunch at Chendibji Chorten and continue drive to Thimphu. Overnight in hotel. Drive to Paro and on the way visit Simtokha Dzong the oldest Dzong in Bhutan. Overnight in hotel. Day 14 : PARO [Departure]. After breakfast, transfer to Paro Airport for your onward departure.